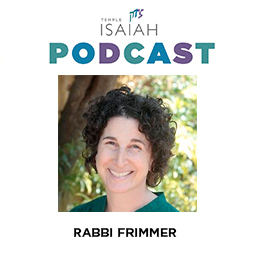 Rabbi Frimmer and Temple Isaiah’s Preschool Director, Tamar Andrews, discuss Passover recipes including 4 different types of Haroset, how to prep and plan without feeling enslaved, and small ways to make a big impact on family, friends and guests. Cantor Coyot and Rabbis Frimmer, Cohen and Klein Miles pause to remember their favorite melodies from childhood seders and what songs they plan to bring or debut this year. Enjoy this musical conversation with traditional and modern melodies, creative seder ideas, and ways to inspire your guests to sing along. Share with your children. Play it as you shop, prep, chop and roll your way to seder night. Chag Sameach - Happy Passover! ISRAELIS CAST THEIR VOTE FOR THE 21ST KNESSET: WHO WON, WHO LOST, AND WHAT COMES NEXT? Rabbi Josh Weinberg, Vice President of the URJ for Israel and Reform Zionism & Executive Director of ARZA, the Association of Reform Zionists of America, breaks down the parties, the leaders, the possible coalitions, and the complexity of Israel’s recent election on April 9, 2019. Encouraged by questions from our community, Rabbi Weinberg offers insight into the electoral process while sharing personal stories along the way, painting a picture of life as a Reform Jew in Israel. To learn more about ARZA and continue learning from Rabbi Weinberg, go to arza.org/join and “Stay in the Loop” by signing up for their weekly newsletter. Rabbi Klein Miles - Friday Night Shabbat Sermon 5779 - A person who does great things is not always good. A person who does good things is always great. The Shulchan Arukh, an influential Jewish code of law from the16th century, tells us, “We inquire as to the laws of Passover thirty days beforehand.” (Orach Chayyim 429:1) Just as the month of Elul in the summer is dedicated to preparing for Rosh Hashanah, the Jewish New Year, so, too, is the time between Purim and Passover meant for reflection and consideration. In what ways can Purim help us prepare for Passover? 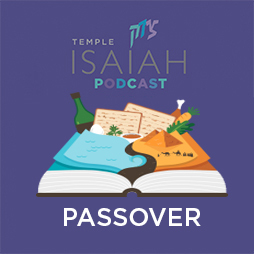 What is the work we need to do now, in order to come prepared to the first seder on Friday night, April 19? ORIGINALLY RECORDED 12.07.18 - Rabbi Nickerson (Latke) vs. Rabbi Frimmer (Hamantash)Rabbi Joel Nickerson defends the potato. Rabbi Dara Frimmer champions the cookie. This debate was recorded in December 2018 in celebration of Hanukkah. (Note the wild applause for latkes!) To be fair, Joel has a mike-drop moment that wins the debate without dispute...so be sure to listen all the way through. Repost and share with your friends. Subscribe to The Clergy Suite. Chag Purim Sameach! Wow. Thank You. Help Me. I'm Sorry: What's the point of prayer? 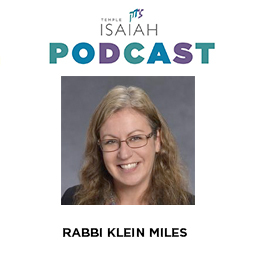 Rabbis Klein Miles, Nickerson and Frimmer return to the Clergy Suite to discuss two more questions submitted by congregants: 1. How do we separate Anti-Israel comments from Antisemitism? How can one be prepared to hold a civil discourse drawing the lines? 2. What is the purpose of Jewish prayer, and how can we more fully realize the experience of praying (or, as we say in Yiddish, davenning)? Click here for the article Rabbi Frimmer references on ways to distinguish critique of Israel from Antisemitism: Jill Jacobs' article titled, "How to tell when criticism of Israel is actually anti-Semitism." 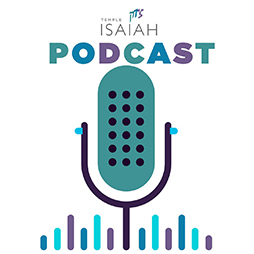 Rabbi Frimmer surprises Rabbi Nickerson and Rabbi Klein Miles with a Pisces Pop Quiz: Answer the top 6 questions Isaians ask while standing with their clergy in the Temple lobby, on the sidelines of the soccer field, or while schmoozing at the oneg table on Friday nights. Tune in and find out what these Early-March-Birthday Rabbis have to say about life, death, tattoos and Torah.